2K Sports today announced franchise record-setting sales of NBA 2K13, the latest iteration in the top-selling and top-rated basketball simulation series*. In its first week of sales, NBA 2K13 sold-through 49 percent more copies than the franchise’s previous fastest-seller, NBA 2K11. This record-shattering growth is due in part to the expanding global popularity of the NBA 2K brand, which accounted for a 66 percent increase in international sales as compared with NBA 2K11. 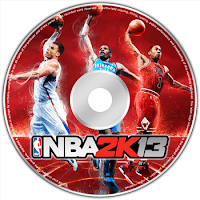 Fans have flocked online to experience NBA 2K13 action with their friends, and the number of online users has more than doubled from last year’s NBA 2K12. In addition, the number of played online games has also grown exponentially, as NBA 2K13 has experienced a 127 percent increase over last year’s totals. This year, 2K Sports joined forces with music icon JAY Z, who served as the game’s Executive Producer. JAY Z personally curated the game’s soundtrack and visual feel of the game, and played an instrumental role in securing the 1992 “Dream Team” for this year’s game. NBA 2K13 also introduces the all-new Control Stick, giving players more control than ever before. Well, too bad for NBA Live because it looks like the NBA 2K will dominate for a while.